PC-based computing is grinding to a halt, as IT organizations struggle with outdated processes and tools that satisfy neither users nor business owners. Mobile devices, new collaboration tools and cloud-based applications are challenging current approaches and showing the promise of better alternatives. 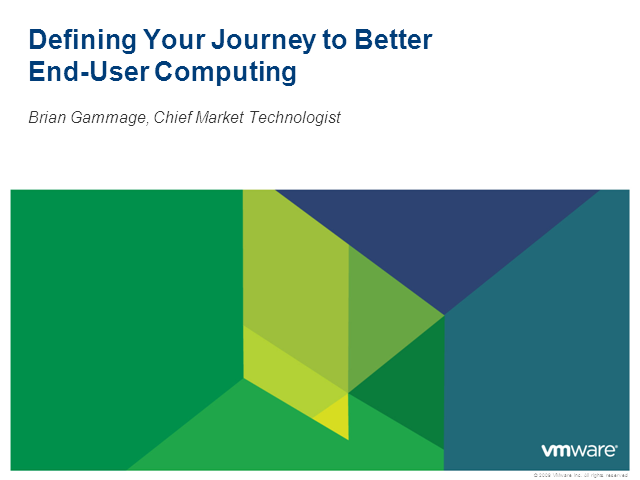 Brian Gammage is VMware’s chief market technologist. He works closely with customers to define the journey to a modern end-user computing model that securely delivers access to applications and data from any device, wherever and whenever the user needs it. With more than 25 years IT sector experience, the former Gartner fellow is widely regarded as one of the most influential global analysts in the desktop virtualization market. As chief market technologist at VMware, Brian is focused on developing the company’s vision for end-user centric IT, addressing the operational and security challenges of an increasingly mobile workforce as well as the burgeoning diversity of data, applications and devices now entering the workplace. Brian is based in the UK but his remit is as a global thought leader. Prior to his role at Gartner, Brian worked at HP, Olivetti Systems and Acorn Computers.